Hochpustertal valley defines the part of the Pustertal valley (Val Pusteria in Italian) that is traversed by the Drau river. The homonymous mountain chain, the Gailtal Alps, comprises mountain ranges such as the Lienz Dolomites. 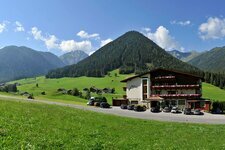 The holiday region Hochpustertal in East Tyrol extends from the Villgratental valley to the Gailtal valley and to Untertilliach, the centre is the small town of Sillian. For those who love active holidays, this area offers perfect conditions: only the Drau cycle path has got a considerable length of 366 km and leads to Slovenia. In summer you can enjoy the Karnischer Höhenweg high alpine path, and in winter you are warmly welcome in the ski center Sillian - Hochpustertal. The Hochpustertaler Bergbahnen lift facilites take you into the winter wonderland of the Thurntaler mountain with its 22 km of ski slopes. Also some small skiing areas are waiting for you, as for example the skiing area Golzentipp in the surroundings of Obertilliach with 16 km of ski slopes. 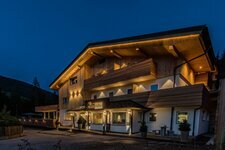 The holiday village Abfaltersbach is located on the sunny side of the East Tyrolean Alps. 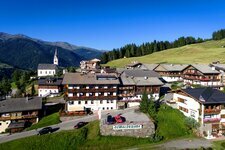 Obertilliach is characterised by a centre that is protected as a historic monument.